إن فندق Suntower Holiday Apartments بموقعه الممتاز في سارفرس باراديس هو نقطة انطلاق جيدة لنزهاتك في جولد كوست. يمكن من هنا للضيوف الاستمتاع بسهولة الوصول إلى كل ما تقدمه هذه المدينة النابضة بالحياة. إن سهولة الوصول من الفندق إلى المعالم السياحية الشهيرة الكثيرة في المدينة كمثل Slingshot Gold Coast, Racecentre, Infinity هو استثنائي بحد ذاته. يقدم Suntower Holiday Apartments خدمات لا غبار عليها وكل أشكال اللياقة وحسن الضيافة اللازمة لإسعاد ضيوفه. تتضمن الميزات الرئيسية في هذا الفندق: واي فاي في المناطق العامة, صف السيارات, التوصيل من وإلى المطار, رعاية أطفال, غرفة عائلية. لقد جهزت هذه الإقامة الفندقية بعناية فائقة لتوفر مستوى عالي من الراحة. في بعض الغرف يجد النزيل تلفزيون بشاشة مسطحة, اتصال لاسلكي بالإنترنت, غرف لغير المدخنين, مكتب, ميني بار. يقدم الفندق العديد من الفرص للاستجمام كمثل حمام سباحة خارجي, حمام سباحة داخلي, حديقة. إن Suntower Holiday Apartments هو مكان مثالي للمسافرين الذين يتطلعون إلى الراحة والاستجمام في جولد كوست. Near to the beach (just across the road) & city center (10 mins walk to Hard Rock Cafe). Free parking available, with other great facilities. The kitchen were well equipped, its good if can provide a small rice cooker. We bought a small one at Target for $18. Washing machine & dryer really save us a lot during our 10 days stay. We got our towels change twice during the stay without any chargers. Would stay here again next time & recommend to friends & family. If it's value for money, great location, close to the beach (across the road), close to Cavill Ave (about a 5 minute stroll), close to the slingshot (right behind it) then this place is for you. The only thing that annoyed me was that it didn't have A/C, only a couple of fans in each bedroom and none in the living area. Appliances were a bit worn but what you get for the money is well worth it. 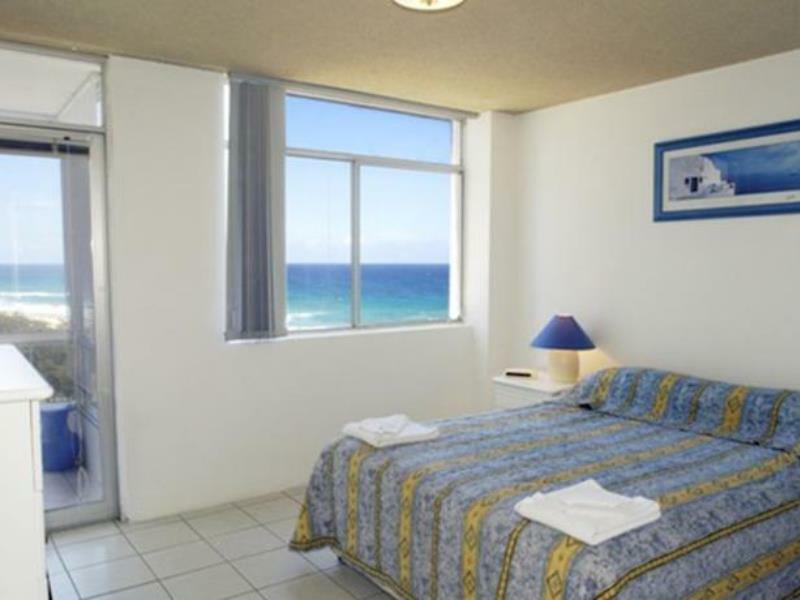 Very good location, beach across the road..great views and 2 mins walk from Cavill Ave. Everything supplied in this old perhaps tired hotel but everything was clean and worked. Great location for Family and unit was large enough to handle 2 adults and 2 children. Would stay again. n.b. self catered in units kitchen so cannot rate the food in survey! We love the bed, it was so comfortable. I could even fall asleep at their sofa. Whole apartment was complete with kitchen appliances, iron board, vacuum cleaner, washing machine and dryer etc. because my previous stay at another apartment down the street only has washing machine outside of the apartment, it was a hassle to me. Cooking was easy for me as well. Superb apartment! Great seaview from the balcony. The room is clean and equipped with basic necessities. The tram station is only 5min walk away. 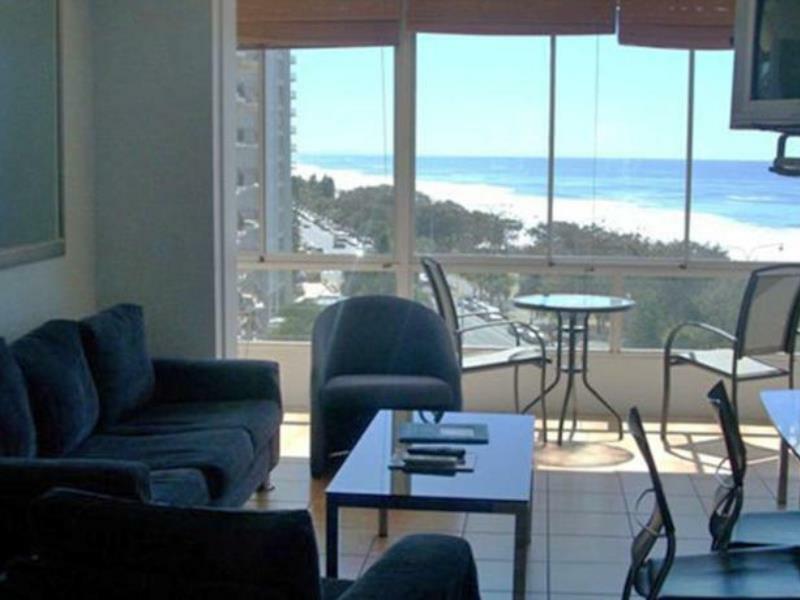 Suntower provided one of the best view and also the most affordable stay in Surfers Paradise. The reception lady was really nice. The apartment makes us feel like home. Well furnished. Clean. FOXTEL cable provided. 100% safe and secure. Right next to the Surfers Paradise beach. 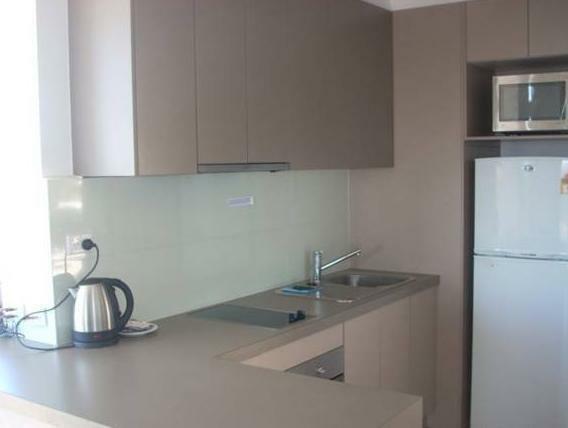 Within walking distance to Cavill Avenue to all those hotspots and shopping malls and stores. Very near to the Cypress Avenue tram. Tram will bring you to anywhere you wanna go within Gold Coast, very accessible. Would stay here again for sure! We were lucky enough to be in a front apartment overlooking the beach and Esplanade. The view was awesome. The apartment is on the old side, with a small kitchen & bathroom facilities but has everything you need except a bathtub if your after that. No AirCon unfortunately but we were lucky that the breezes through the windows were enough this time of year, but can be hot early morning with sun beaming through. The low balconies can be scary and the verandah seems to be slopped. The caretakers were excellent willing to help with anything. Ok; so it's not the flashiest place in Surfers (and no air con) but what more could you ask for in regards to price and location!! Best value apartments in Surfers!! Would stay here over and over again!! This is my second stay in Suntower and the experience was superb. The staff were friendly and accommodating. The location of the apartment right smack in Surfer's Paradise fronting the ocean was great. Everything including the tram stations were within walking distances. While the furniture may be a little aged, they were clean. Overall, my stay was pleasant and will definitely stay here if I visit Gold Coast again. I'd definitely recommend this place to anyone intend to stay here. Good value for money. You get what you pay for. Great facility and comfortable beds. Reasonably spacious. Good TV programs. Floor dirty. Soles of feet was black after walking around room. Got to mob twice. No air con so that in summer might suffer. Remote controls for fan and TV almost flat. TV remote battery finally dead on last 2nd day. Million dollar location for mid-price. Kitchen and bathroom over 30 years old, but all worked OK. Car park and building security good, which is essential. Stunning close view over beach and clear water. Good Cafes nearby and short walk to Cavill Avenue ritz. Much better than standard hotel room!! Location is nice. 2 bed apartment size is also fine. There is no free WiFi. This is too disappointing. Rates are too high as compared to what they are offering. Very simple rooms. No beautification. No cleaning service even in 3 days. You clean everything yourself. Bad experience maybe because I always stay at hotel and this is the first time I stayed at an apartment. I had a pleasant stay. The apartment was decent and I have no complaints. At the price I paid, it was very GOOD value for money. The management was very friendly and helpful. While the furniture and fixtures may be a little aged but they were in good condition. The location was simply excellent, just a 5 minute walk away from the bustle of Surfer's Paradise. Tram stations that take you out of the Surfer's Paradise area were just within a 5 minute walk away. And the view of the ocean added icing to the cake. Imagine falling asleep and waking up to the gentle sound of the ocean waves. Out of this world! While it's not in the class of a 5 star accommodation, it was pretty good. Will I stay here again? Definitely! 1 week stay in this apartment just like home. All facilities in apartment well functioning. Staff (the owner) very helpful. 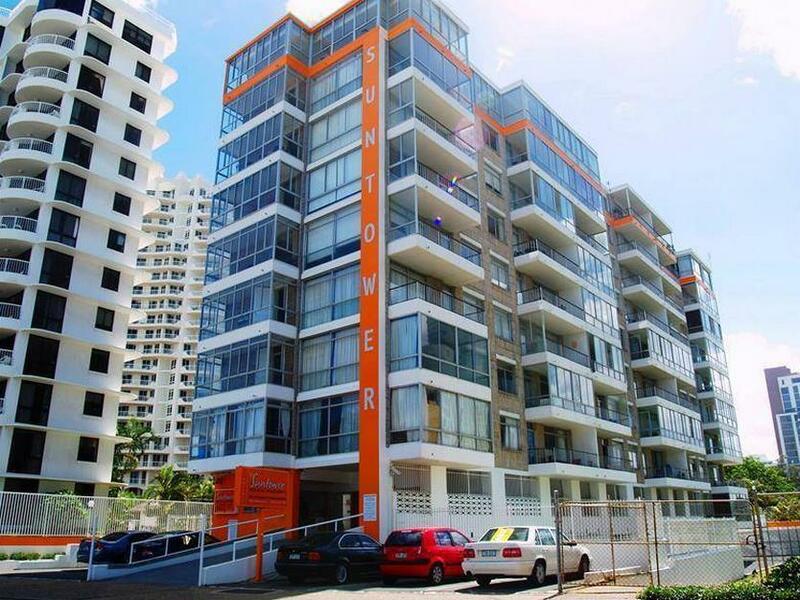 Beachfront surfer paradise, 5 - 10 minutes walking to shopping mall, convenience store, breakfast spot, fast food, entertainment places, tourist attractions & public transport. Value for the money, you will never get all this with the cheap price in Goldcoast. I stayed in the accommodation - the Suntower apartments for the night of 16 August 2014. I spent a total of 15 minutes in the room before leaving to stay at a relatives place in Robina. Upon returning to the room, I was 50 minutes late in checking out due to unforseen circumstances. Check out time was 10 am. please note timeline- -10.40 am. Reception rang and verbally abused me on the phone, while I was in the taxi on the way to the hotel from Robina (a nearby suburb). Instead of asking me about checkout times, I was scolded like a child and spoken to in a loud and aggressive tone. In fact this tone was so loud the taxi driver asked 'what was wrong with your wife' as the screaming voice carried across the vehicle. I was so embarrassed to inform him that it was only the lady from the suntower hotel reception. -10.53 am. I returned to the room to find my luggage missing. I then checked reception and it was closed, a large sign listing my personal details asked me to phone a mobile regarding the late checkout. -10.55 am. I phoned the number and a man (the owner) came to meet me. He was immediately insulting, stating he was too angry to even look at me. He continued to mutter insults at me while he retrieved my luggage from the locked reception area. I noted in return that he was very unprofessional and he then continued to mutter insults under his breathe. Hotel experience- Unprofessional, angry and insult muttering owners. Breached privacy: This is the most serious concern. At no stage did I give the Suntower apartments permission to pack my bag and go through my things, I had important medication with my things that would be serious if they were lost. I recommend you stay elsewhere. We got a 2 bedroom apartment cheaper than a twin hotel room, washing machine, great view of and proximity to the beach. In town for a dance congress at a hotel around the corner. Suntower was great value for money, a room each and we could make our own meals in our own kitchen. Staff were friendly - even when we slept in past check-out time :) Arriving after reception hours was no problem and check-in and check-out was efficient. The dryer kept stopping and leaked water. We had cooler weather while there, so can't speak for the lack of air-con. The enclosed balcony was north facing so did get a lot of sun/heat if we pulled back the block-out curtains. The windows do nothing to block out street (or ocean) noise, so if you're a light sleeper, bring your ear plugs. The living space was generous, the bed spreads rather tired looking. A place past it's prime, but the price for place represented good value for money and perfect for our needs. Good. Room was on time but no early check-in. Apartment is old and due for reno but can see the effort by the management to maintain the place by keeping the furnitures in good condition. Thus you will see the windows and floors are abit old, but all the furnitures eg. floors, sofa, beds, tv are in good conditions. Guess the management is working within certain limitation or budget. Overall, I am pleased with the place as I am not a picky traveller. It is value for money. The location of the apartments were fantastic and the views of the ocean from our room were superb. Even though it was a cheaper apartment than most, they could of taken an interest in there rooms. Our room had old plastic flowers and too much old, broken furniture. Just by removing the flowers and broken furniture, would of made the room look better and have more space. Other than that was great.